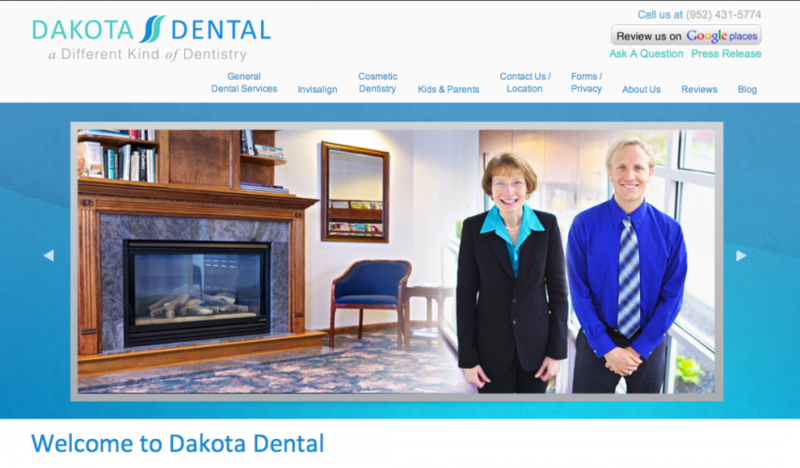 Dakota Dental family dentistry is happy to introduce you to our redesigned website! Our patients know that our dentists in Apple Valley, MN are dedicated to provide a comfortable environment, an open client-dentist relationship and the best information on oral health. Now, our online presence reflects this same helpful, inviting atmosphere our loyal customers have come to enjoy. Initially, site visitors will notice the soft blue and green colors, a clean visual design and bright photography highlighting our doctors, staff, and unique office space. Dakota Dental’s services and contact information are quickly visible. Beyond the new look, the site offers user-friendly navigation and organization, in-depth information about Dakota Dental’s services and procedures and a wealth of helpful dental resources. Details on Invisalign, cosmetic dentistry, pediatric dentistry and general dental services are simple to find. Additionally, visitors can access clear contact information and patient forms to make appointments easy. Dr. Shelley Wakefield, Dr. Bennett Isabella and the rest of the staff at our Apple Valley dentistry will use the website to improve communication with clients as well. The dental care blog provides updates on Dakota Dental’s services and other dental news, making it an excellent resource. Another source for visitors is the “Ask a Question” link. This feature lets readers submit a question to the dental clinic on any subject that interests them, while giving them a chance to win a prize. The website also links to the dental center’s Facebook and Twitter accounts, and allows patients to leave a review through Google Places™. The new DakotaDental.com is an interactive, intuitive and informative resource for current clients as well as anyone interested in dentistry services or learning more about their oral health. The website redesign stems from the Apple Valley dental clinic’s overall philosophy – to provide a comfortable, relaxing environment in which patients can receive top-quality information and services that result in beautiful, healthy teeth.